I have a MacBook Pro Retina mid 2012 and have bought a couple of BenQ 4K EL2870U monitors. I've connected the two monitors up to the MacBook through a couple of Mini Display Port to Display Port cables that support 4K resolution, but I'm unable to get the monitors to display anything above 1280 x 720 resolution. Note that the number of pixels pushed from my MacBook Pro is actually 2560 x 1440 since the chosen resolution is not "low resolution". However, I would rather have 2560 x 1440 "low resolution" than the current 1280 x 720 "high resolution" I currently have, since that gives me less screen real estate than I had on my previous non-4K monitors. 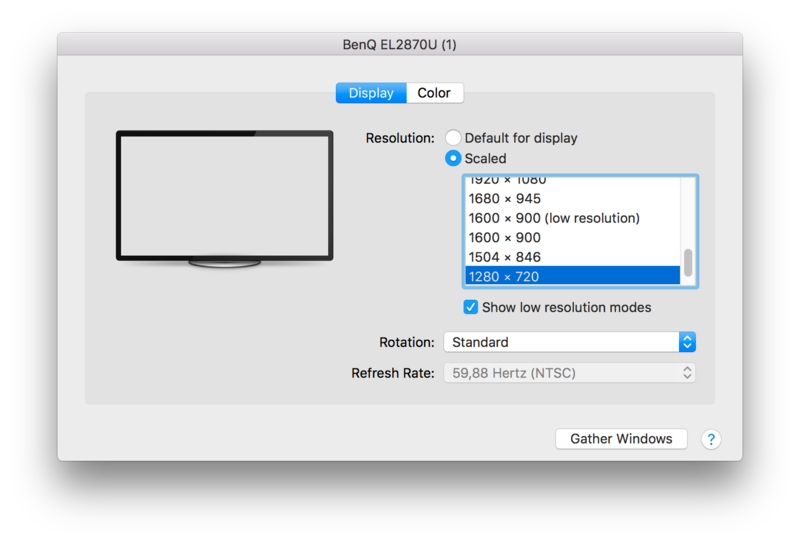 If I choose any other resolution ("low resolution" or not), the BenQ just goes blank. I should at least get it to display all low-resolution modes up to 2560 x 1440, isn't that right? In this related question it seems like even the 3840 x 2160 resolution should be available at 30Hz, but alas it doesn't work for me. Ideas? By installing SwitchResX I was able to choose 2560 x 1440 (60 Hz) which now gives me the screen real estate I need. A really neat choice that doesn't give me as much screen real estate, but makes the screen into a retina 1080p monitor is the 1080p30 option. Everything now looks super crisp and I have the same screen real estate as on a full HD monitor. A bit annoying that I need a $16,- third party application to fix this problem, but it's better than no solution at all. Not the answer you're looking for? 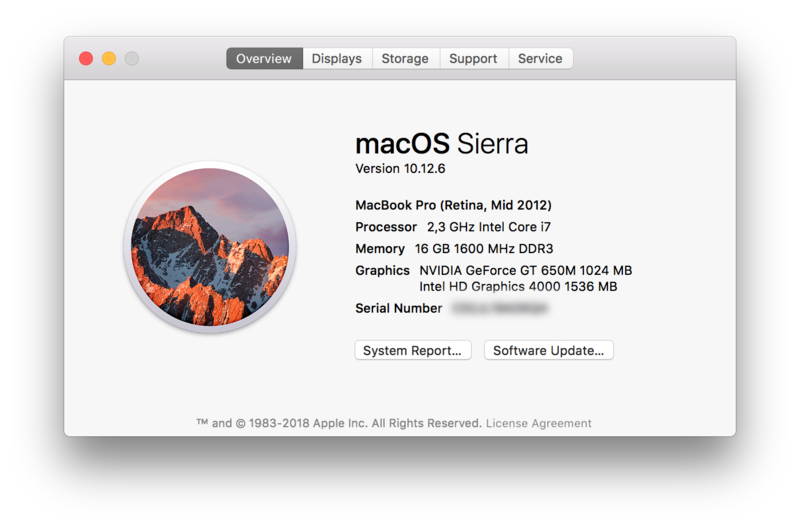 Browse other questions tagged macbook display displayport resolution 4k .